Blank version deliverable in 48h! 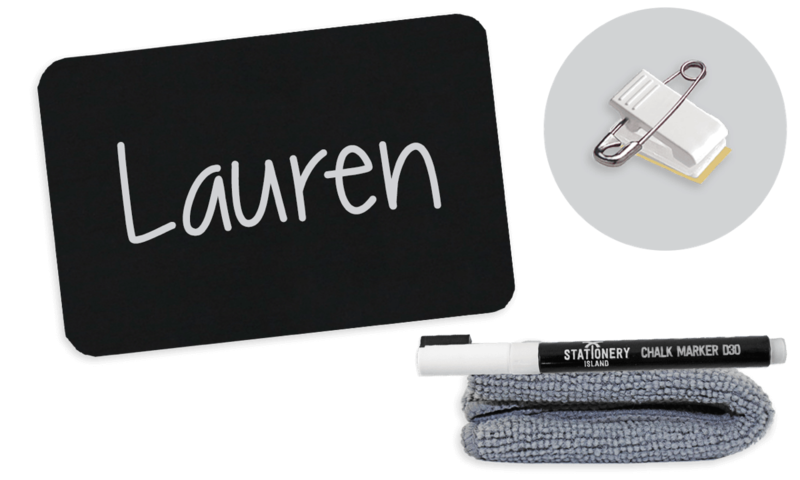 The badge is covered in a chalkboard surface that can be hand-written on with liquid chalk pens to give a blackboard effect, resulting in a friendly and professional look. And last but not least, that surface is now available in a choice of 7 different colours!